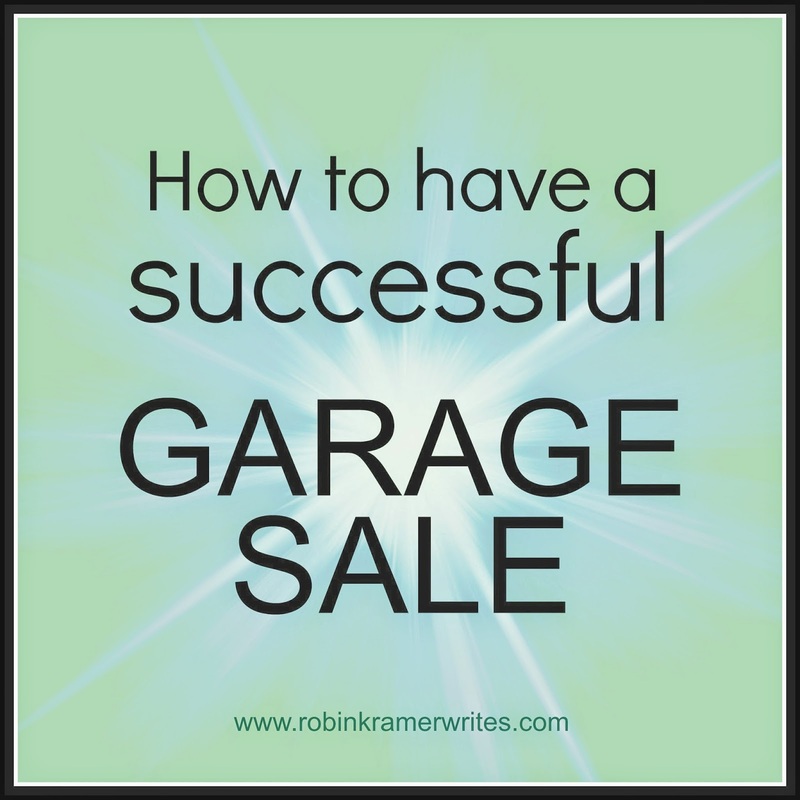 After hearing about our recent garage sale during which we gained income and reduced clutter (win-win! ), a friend asked me for a few pointers to maximize her own upcoming sale. Let me share with you what I shared with her: a dozen specific tips on how to host the best possible yard sale. 1) Direct customers with effective signs. Planning and preparing for a garage sale requires a good deal of work, so you want to maximize your customer base. One of the most effective ways to do this is with easy-to-read signs. Use bright colors, consistent design, large and legible handwriting (no cursive), and arrows to lead customers to your house. At your house, place one final sign as the visual equivalent of that pleasing voice from your GPS device announcing, "You have arrived." 3) Price to sell. 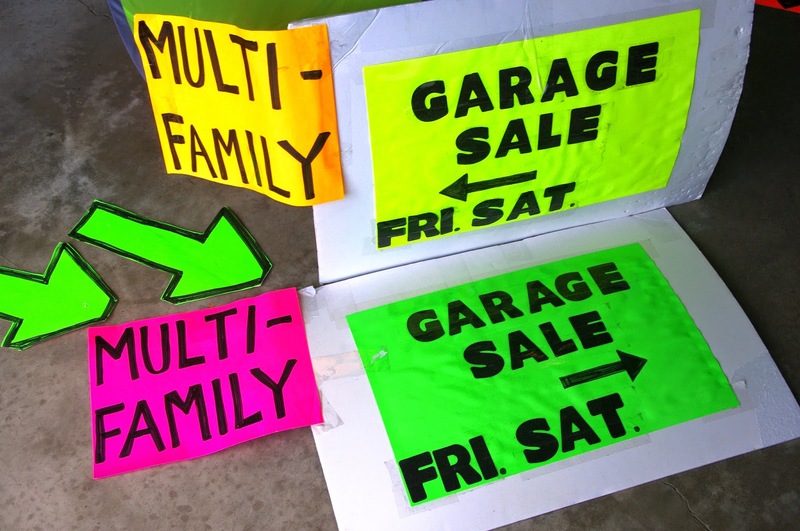 Without a doubt, pricing is one of the most challenging parts of holding a garage sale. On one hand, you want to earn a profit. On the other hand, you want to get rid of merchandise and reduce clutter in your home. Deftly try to find the balance between the two without over-thinking it and succumbing to deep, philosophical ponderings about sentimentalism and the true value of material possessions. If you shop at yard sales, use your experiences to guide pricing. If you're unfamiliar with what yard sales charge in your area, read up on general garage sale pricing strategies. Research any items for which you don't know the value, such as antiques. 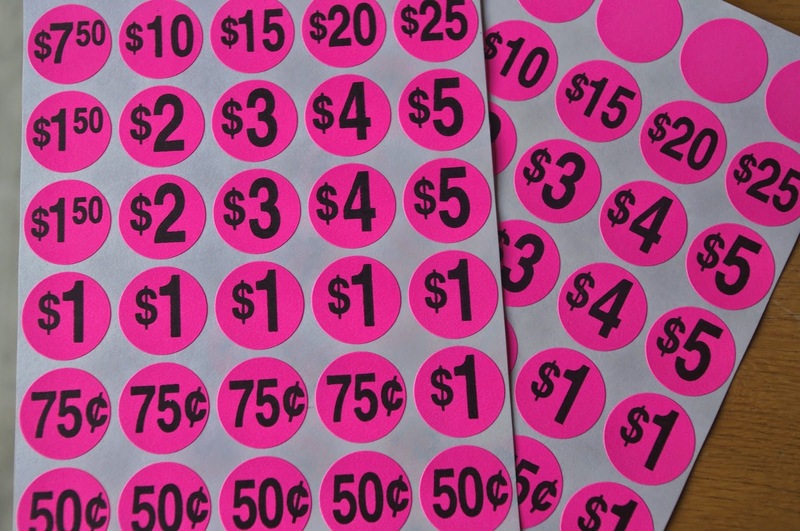 Be sure to keep your price stickers easily visible -- on top, brightly colored. I've also found that creating pricing charts also can expedite the pricing process. For merchandise such as clothes, books, and DVD's, instead of pricing each individual item we simply hung a sign with our price list (ex: "Paperback Books: 50 cents, Hardback Books: $1"), which simplified things greatly. 4) Prepare proper amounts of table space. While some items can be placed on the ground, it's likely that many of your items will best be displayed on a table top. Given that most people don't own six or spare folding tables, plan ahead. We often borrow a few tables from neighbors or friends for the weekend, and setting a piece of plywood over two sawhorses creates great space, too. 5) Group merchandise logically and attractively. As you set up your tables, think categorically. Group pie plates with other housewares, stamps and stickers with other craft supplies, drill bit sets with other tools, and that abandoned tennis racket with other athletic equipment. You (and your customers) will have a better sense of your merchandise if it's categorized appropriately. Likewise, dust off or wipe down any merchandise that needs a quick polish. Make your stuff look good. Depending on what you're selling, consider staging an areas, like setting a lamp on a desk or placing an end table next to an arm chair. 6) Visit the bank beforehand. It's probable that one of your first customers will pay for a 50 cent item with a twenty dollar bill. Be sure that you have ample change and one dollar bills on hand, especially for the first hour of your sale. We took out $100 in cash -- $50 in singles and $50 in fives -- for this purpose. Keep a roll of quarters on hand, too. 7) Be friendly. As obvious as this sounds, it's a good practice to greet customers warmly. Engage in small talk without being overbearing. If you notice someone looking at a particular item, share what you know about it. Tell a customer that the dress she's holding was one of your daughter's favorites, or mention that you picked up that vase while on vacation. Infuse an object with a positive back story -- it might be what tips the customer to buy it. 8) Create ambiance. Ambiance in a garage or on a driveway? It's often as simple as adding music. Create an enjoyable playlist and stream it during the sale. Music provides comfortable background noise for moments when a person is browsing in silence, and it also creates a sense of privacy for your customers if they're debating a purchase among themselves. 9) Keep supplies handy. Keep pricing stickers, scissors, tape, a notebook, and a pen handy during the sale, as well as an ample stash of plastic bags to offer customers to carry their purchases home. Having an extension cord plugged in allows people to ensure that electronic equipment works. 11) Keep cash exchanges visible. I worked as a cashier for one of my first jobs during high school. My manager advised me to keep a customer's cash visible during each transaction as I made change. This is a valuable tip for garage sales, too. Not only does keeping a customer's money lying out in front of you keep you on track with the monetary tally, but it also prevents someone from saying, "I gave you a twenty," when she really handed you a ten. 12) Plan a strategy for unsold merchandise. There never will be a garage sale where every single item sells; it's inevitable that some merchandise will be leftover. While cleaning up after our recent sale, I made three separate groups: 1) items to give away for free at the curb (or place in the garbage if it's not taken by trash day), 2) items to donate to Goodwill, and 3) items to save. I limited the final category to one large plastic bin that I've already moved to my basement storage closet. If, in a few years, we plan another garage sale, I've already got a good base to build upon -- with price stickers attached, nonetheless. 13) Remove your signs promptly. I know I promised a dozen tips, but this is a bonus tip, a baker's dozen of garage sale goodness. If you follow tip number one and hang effective signage, people will come. And come. In fact, they'll keep coming as you pack up, sweep out, or eat dinner later that night. Removing signs brings a definitive end to your sale, plus it's responsible. There you have it: thirteen tips on how you can earn extra income, free up space, and host your own successful garage sale. Feel free to share any additional suggestions in the comments below! This is definitely how you have a successful garage sale! 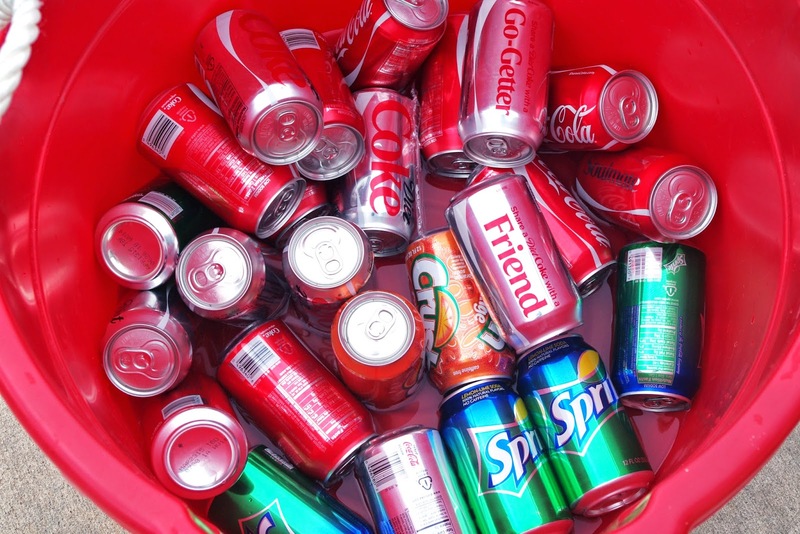 I love the soda and water idea. We usually have my girls do a lemonade stand but it's sooooo much work. So this year, the hubby (brilliant man that he is) thought of a Freezie stand - small freezies $.50 and jumbo ones $1.00. I have a feeling my little girls are going to be rolling in the dough. Although I think we should do water too. I love the tip about having music playing. I hate going to a silent garage sale... it's kind of eerie. Freezer pops -- that's brilliant! And it's non-labor-intensive, which is part of the brilliance, because who really has time to be making more lemonade (or whatever) in the midst of a sale? Great idea!